Hey folks, we're looking for your help! Are any of you budding actors or know of anyone that might be suitable? 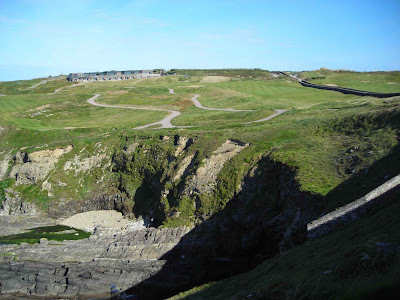 We are shooting a Golf video next week in the stunning Old Head of Kinsale Course in Cork. One day's filming taking place week commencing 20t...h, 21st or 22nd March (weather dependent). wrong direction and it's a 300 foot drop. So, if you fancy playing at one of Ireland's most thrilling golf courses, being filmed for posterity and having your swing ridiculed by your friends and family when you appear on TV, drop Ricky a line.